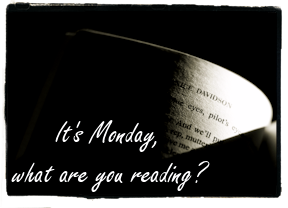 So it's been a while since I posted my weekly reads. I was all organised and arranged for guest bloggers when I was on holiday but then I got back and just struggled to get back into any sort of routine. I was having difficulty concentrating on reading and also have far too many photos to sort through! Hopefully I'll get back on track and catch up with you lot. I have a stupid amount of review books to get through and a bunch of must reads that I am really looking forward to. I really want to get to Deadline by Mira Grant, but who knows. I still have to read and review Philippa Gregory's latest too. Announcing the winner of my guest blogger giveaway soon! You've got a couple of new-to-me authors in your list that I look forward to trying. Where do I find the time?? ?